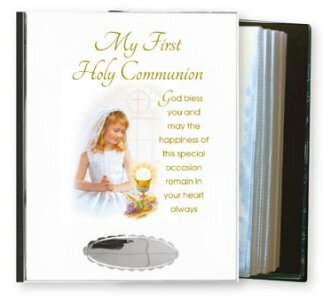 DIVINE CHRISTIAN GIFTS - Girl's Communion Metal Photo Album. Girl's Communion Metal Photo Album. Size:5 1/2"x 7" comes boxed.